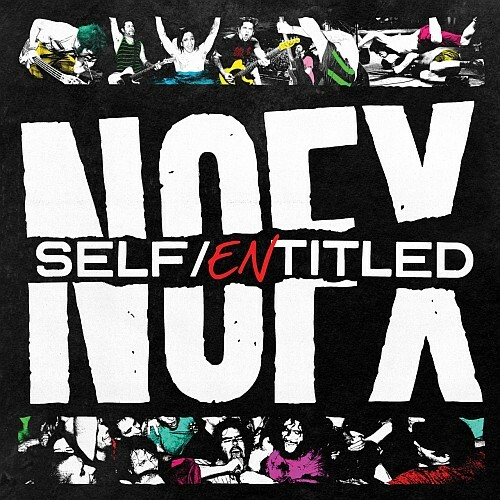 Self Entitled is the twelfth studio album by the American punk rock band [URL=http://www.skatepunkers.net/search/label/NOFX]NOFX[/URL]. It is due for release on September 11, 2012 through Fat Wreck Chords. The album took more than a year to materialize. Vocalist and bassist Fat Mike revealed to The Daily Times in January 2011 that a follow-up to Coaster was in production, explaining "There are some really good songs on Coaster, but after having written 300 songs, I feel lucky I came up with them. That's why there are songs on there about Iron Maiden and Tegan and Sara. I'm reaching, man. Sometimes I grab stuff just to grab stuff, and I'm going in a lot of different directions. In December of that year, Fat Mike revealed to Phoenix New Times that he had begun work on a new NOFX album and a soundtrack to a "fetish film" called Rubber Bordello. On February 14, 2012, Fat Mike revealed to Rolling Stone that NOFX was going to begin recording their twelfth studio album in April and added, "I've got 12 songs, but I don't have a name for it and only a few of the songs are finished. We're demo-ing it right now." On April 12, he posted a message on his Twitter page saying that the band was back in the studio with Bill Stevenson, who produced Wolves in Wolves' Clothing and Coaster. The recording process of Self Entitled was finished in two-and-a-half weeks and it was eventually announced that NOFX would release the album internationally on September 10, 2012 and in the United States on the following day.